Stay ahead of the current trend just by stepping out in this pink colored suit. The top is made of chanderi silk fabric which is stylized with beautiful resham embroidery with stone work and lace border. 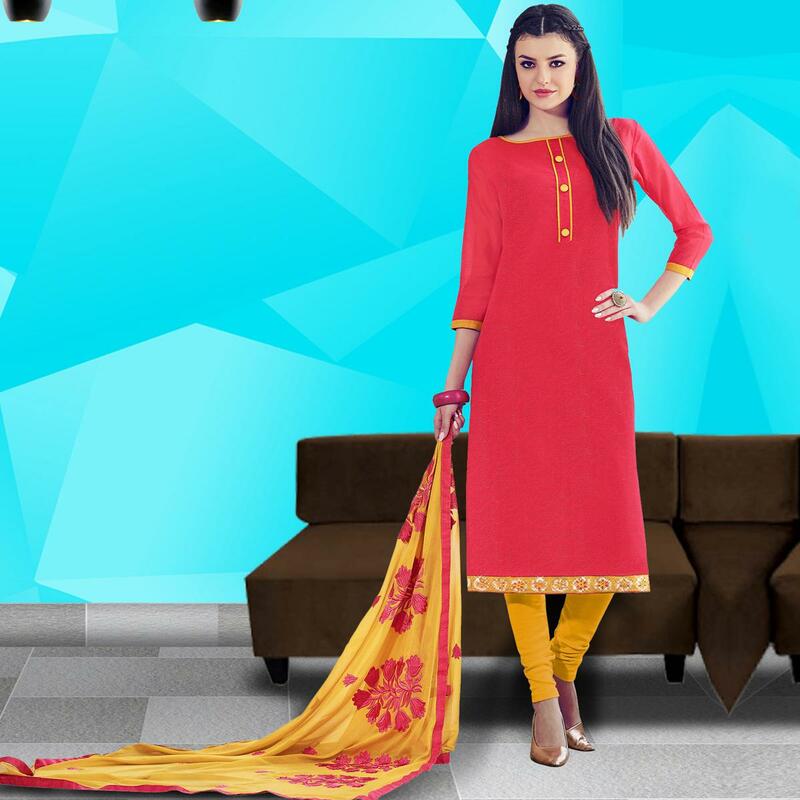 Comes along with poly cotton bottom and chiffon dupatta all synchronized well with the latest trend and style. 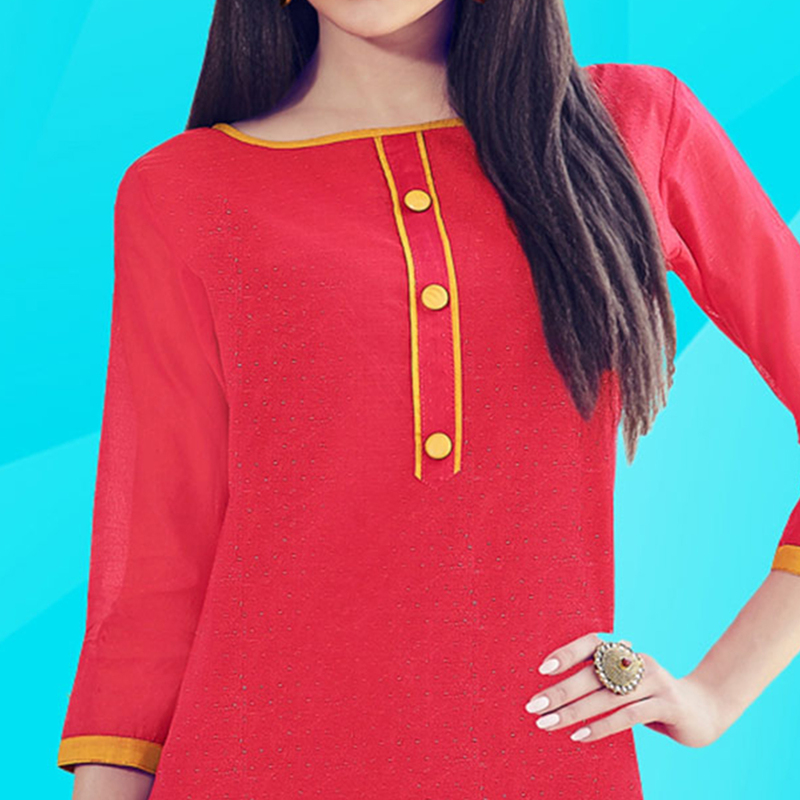 Get this unstitched suit stitched as per your desired fit and comfort. This outfit is perfect to wear at weekend get-together, casual wear, office wear, kitty parties. Team this suit with ethnic accessories and high heel for a complete look and fetch compliments for your rich sense of style. This suit won't fail to impress everyone around you.